In the hands of acclaimed children’s author Julie Berry, the so-called Great War becomes lovely. 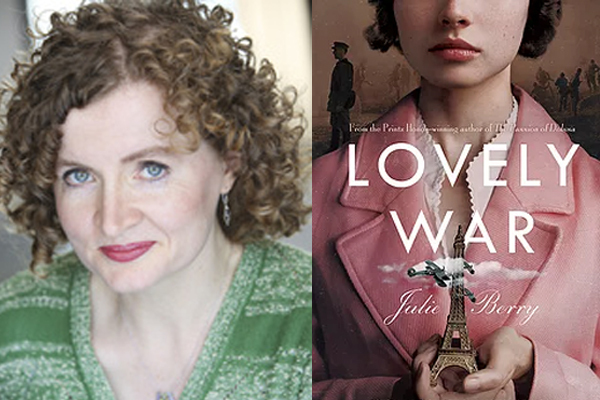 In her new historical YA, THE LOVELY WAR, Julie crafts a sweeping romance set in the chaos of World War I. Narrated by the goddess of love herself, the book is a testament to the strength of love and the power of the arts in a time marred by bloodshed and prejudice. An Unlikely Story invites readers of all ages to an event with Julie where she will read from and talk about her lyrical and epic love story. A book signing will follow the discussion. Read the novel New York Times bestselling author of The Alice Network Kate Quinn called “easily one of the best novels I have read all year!” A sweeping, multi-layered romance set in the perilous days of World Wars I and II, where gods hold the fates—and the hearts—of four mortals in their hands.